President of GM Europe Calls for More Government Support for CNG; To Which We Say, "Hey GM, How About Selling Some of Your CNG Cars in the U.S.!" 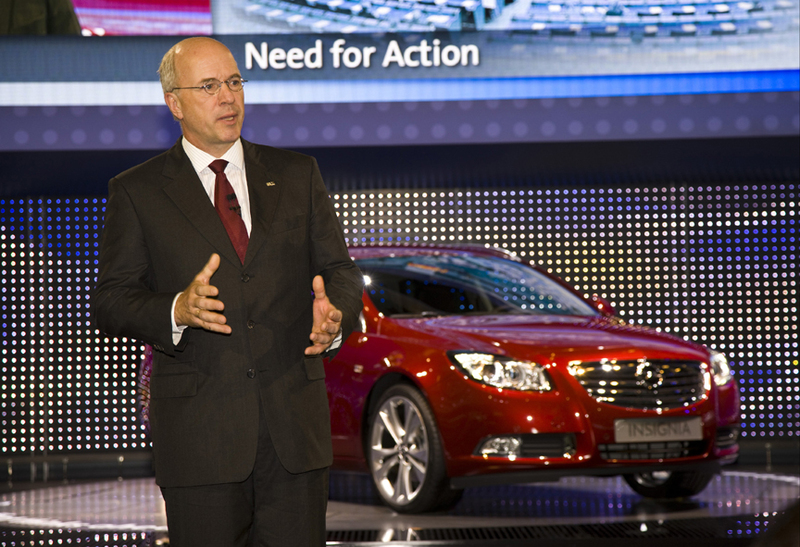 General Motors' Europe President Carl-Peter Forster made an ironic cry for government help during his 2008 Paris Motor Show presentation. Now it could be said that Carl-Peter was only talking to European governments, but as we’ve clearly seen over the last couple of weeks (if anyone still needs convincing), what happens in the United States affects Europe and the entire world. So if European governments should show more support for compressed natural gas, with government mandates to back up the manufacturing of vehicles that can use CNG, what about America? General Motors knows how to make CNG-powered vehicles. They’re making them right now and selling them everywhere, except in the U.S. For that matter, Ford and Chrysler also make CNG-powered vehicles, and sell them around the world, but not in America. No two carmakers need help more than General Motors and Ford. They need product that consumers want; they need a fuel system(s) that will help them meet environmental demands; they need a technology that is proven and will not cost billions to perfect; they need to make use of the parts and designs that they have already invested billions in; and they need something that dealers can sell…NOT IN TWO OR FOUR YEARS, TODAY. Thanks to the ridiculous price of gasoline and the diarrhea-of-the-mouth condition that Hugo Chavez and Ahmadinejad suffer from, Americans seem be ready to make some serious changes in their choice of fuel. In addition, thanks to Boone Pickens* recent purchase of Fuelmaker Corp. (the company that makes the in-home CNG fueling devices) from Honda, Fuelmaker should be able to throw off Honda’s reticence to sell PHILL units and finally open their doors to all purchasers. So here we have it, a solution that has been staring GM right in the face: A ready consumer market, a proven low-polluting technology, existing manufacturing facilities that know how to make the vehicles, a dealership network hungry for desirable product, and abundant low(er) cost fuel. Moreover, the adoption of CNG in the U.S. as the General Motors bridge-fuel (until electric is really ready for prime time) does something else for GM that is a long time in coming: It gives GM a reason to continue making Buicks and Pontiacs. Lets face it, these brands are as dead as Oldsmobile. They have no meaning in America, except for nostalgia. But if every Buick and Pontiac sold in the U.S. were installed with either a CNG or propane engine** there would actually be a reason to buy them, and they would have some realistic differentiation from Chevy. What the hell are you waiting for General? Sound the bugle, mass your troops, you’ve got workable marching orders. Don't give up on the Volt, but don't make the public and your shareholders wait for a day that may never come. * Clean Energy Fuels Corp., a company that Pickens has a heavy investment in, actually purchased Fuelmaker from Honda in early September of this year. **Propane powered passenger cars also enjoy world-wide acceptance. Propane burns cleaner than gasoline, we have plenty of propane, and there are filling stations all over the country.